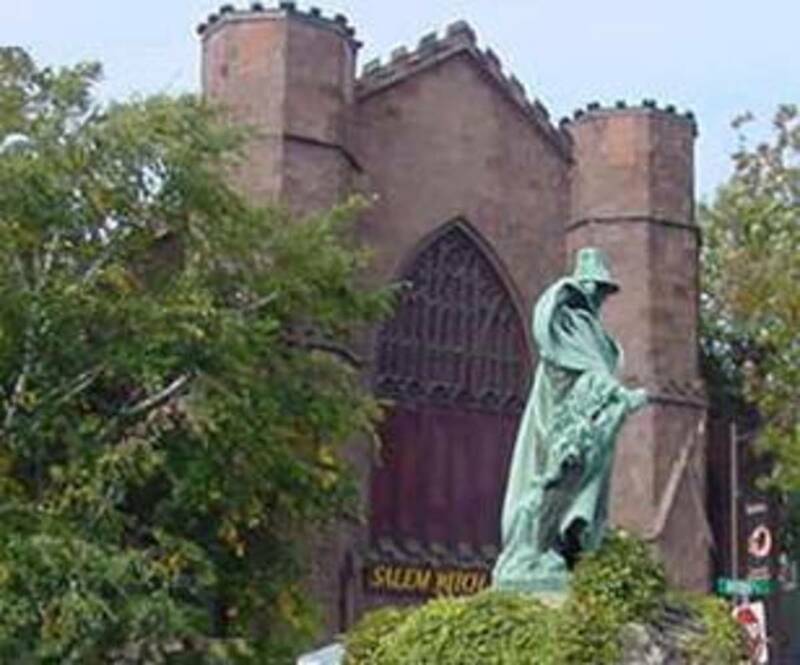 In 1640, English immigrants William Towne and Joanna Blessing Towne settled their large family in Salem, Massachusetts, where three of their daughters would later be accused of witchcraft, and inspire the famous play "The Crucible" by Arthur Miller. 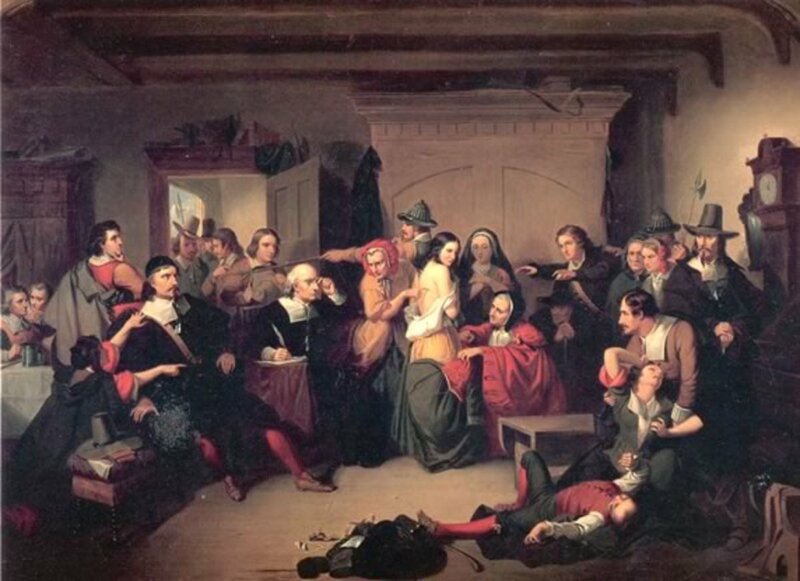 In the late seventeenth century the Massachusetts counties of Suffolk, Middlesex and Essex were in the grip of mass hysteria; delusions of witches and devils brought on by religious fervor, and the stress on the community by the many land disputes erupting throughout the area. In total 98 people were accused of witchcraft, and 18 executed, including two of my own ancestors. Rebecca (Towne) Nurse, and her sisters Mary Easty and Sara Cloyes were accused by a group of young girls of bewitching them, causing fits. According to the eyewitness account of Rev. Deodat Lawson, the girls screamed and made strange noises, threw things, crawled under furniture, and contorted their bodies. 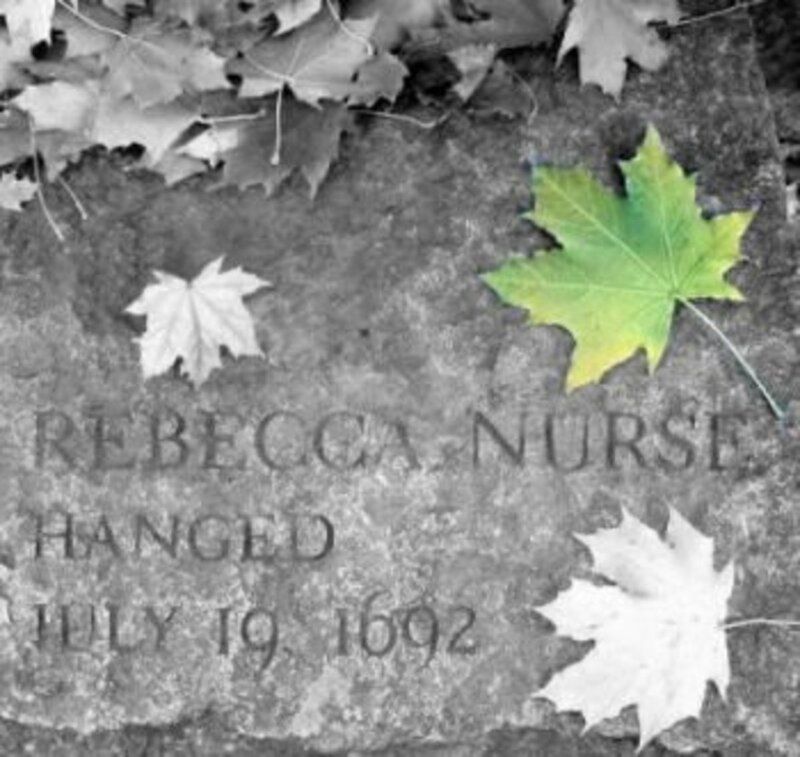 At the time of her arrest, Rebecca Nurse was 71 years old. She was a pious woman and a respected member of the community. Her husband, Francis Nurse, was a prominent land owner, and involved in disputes with Thomas Putnum, father of Ann Putnum, Jr. Ann was among the eight girls who accused and testified against Rebecca and her sisters. 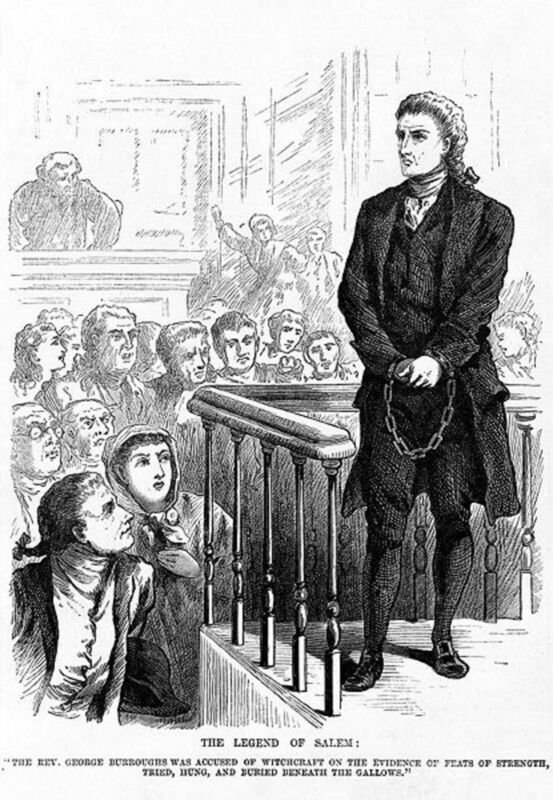 "I desire to be humbled before God for that sad and humbling providence that befell my father's family in the year about ninety-two; that I, then being in my childhood, should, by such a providence of God, be made an instrument for the accusing of several persons of a grievous crime, whereby their lives were taken away from them, whom, now I have just grounds and good reason to believe they were innocent persons; and that it was a great delusion of Satan that deceived me in that sad time, whereby I justly fear I have been instrumental, with others, though ignorantly and unwittingly, to bring upon myself and this land the guilt of innocent blood; though, what was said or done by me against any person, I can truly and uprightly say, before God and man, I did it not out of any anger, malice, or ill will to any person, for I had no such thing against one of them; but what I did was ignorantly, being deluded by Satan. And particularly, as I was a chief instrument of accusing Goodwife Nurse and her two sisters, I desire to lie in the dust, and to be humble for it, in that I was a cause, with others, of so sad a calamity to them and their families; for which cause I desire to lie in the dust, and earnestly beg forgiveness of God, and from all those unto whom I have given just cause of sorrow and offense, whose relations were taken away or accused." 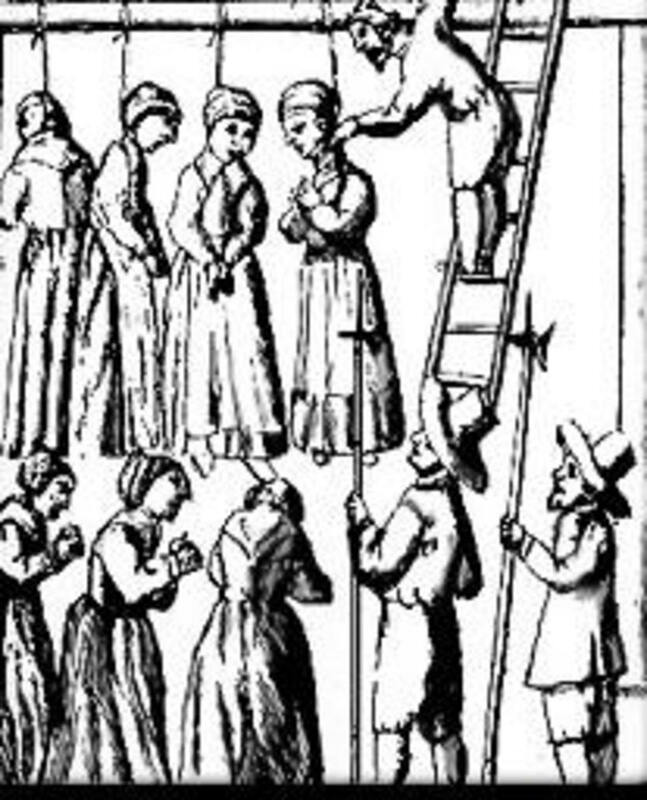 On July 19, 1692 Rebecca Nurse was hanged for her supposed crimes, alongside Sarah Good, Susannah Martin, Elizabeth Howe and Sarah Wildes. 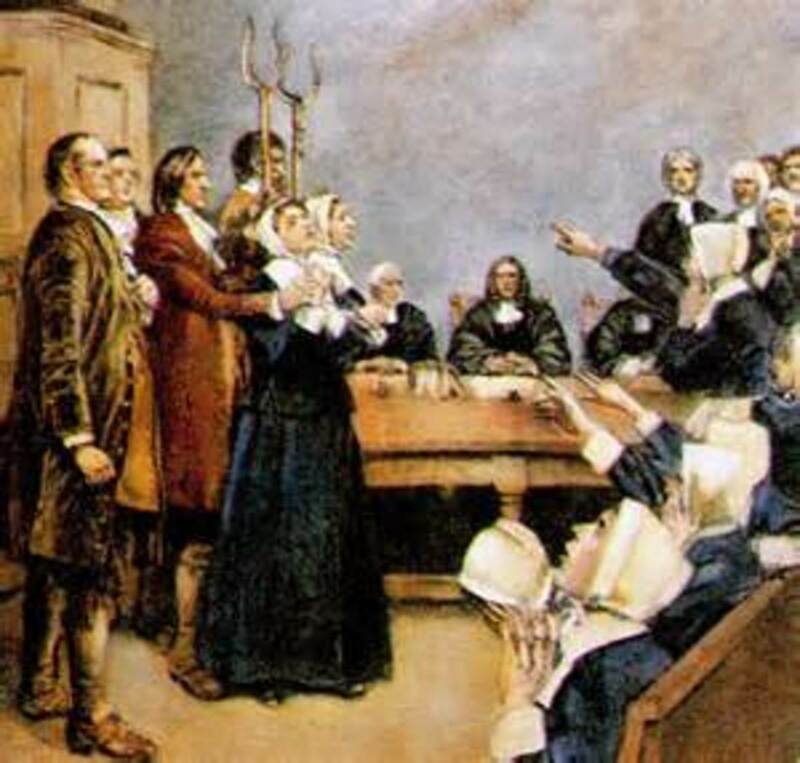 On September 22, 1692, her sister Mary Eastey was also exicuted, with Martha Corey, Ann Pudeator, Samuel Wardwell, Mary Parker, Alice Parker, Wilmot Redd, and Margaret Scott. The third sister, Sarah Cloyes, was later released, having outlived the hysteria. Though the victims of the witch trials were buried in shallow, unmarked graves, it's rumored that the Towne family stole back the remains of Rebecca and Mary under the cover of night, and gave them a proper burial. The family erected a monument to Rebecca's memory on the grounds of the Nurse homestead in 1882. In 1992, the Massachusetts House of Representatives decided to issue a resolution honoring those who had died during the trials. When it was finally signed on October 31, 2001 by Governor Jane Swift, more than 300 years after their deathes, all the accused were finally proclaimed innocent. 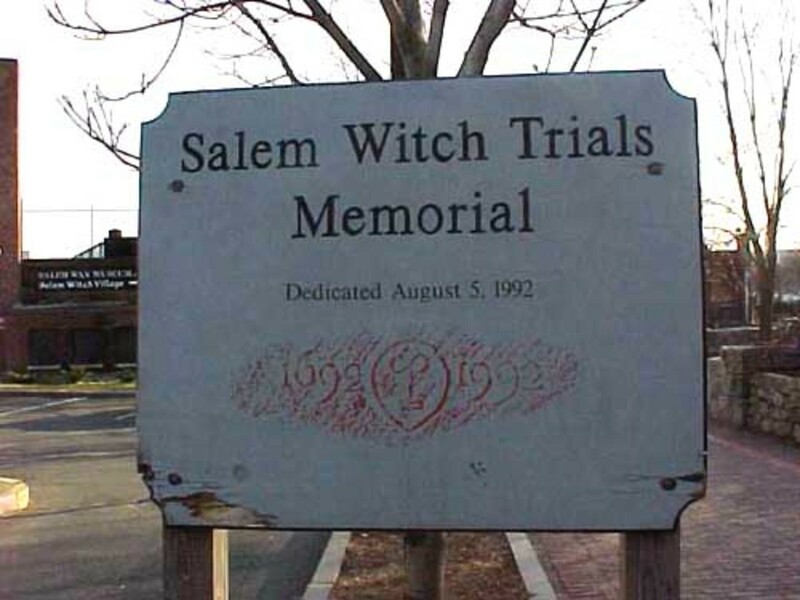 There are many groups and societies that are dedicated to preserving and honoring the memories of the men and women involved in the Salem witch trials, as well as the Towne family. Was this hub well written? Your writing was good. I just wished you would have included more facts. For the most part you are correct in what you have written. Please watch the video “Three Sovereigns for Sister Sarah”. I was told that it is the best source for accurate information about the trials. I am a retired history teacher and always used this video in my classes. It answered the questions the kids had about the subject. I was also told this is the source they use in Salem at the museum. I do genealogy and unfortunately discovered that on my dad’s side, one of the vocal people for witchcraft was an ancestor of his! I just wish you would have added more of the known facts. You did a good job, though. Thanks for this. I think more detail could be put in and honestly I really did not understand it. I am also related to Rebecca Nurse. She is my 8th great grandmother on my father's side. I'm a descendant of Rebecca as well! It's amazing there are so many of us. You left out one more person; Tituba. 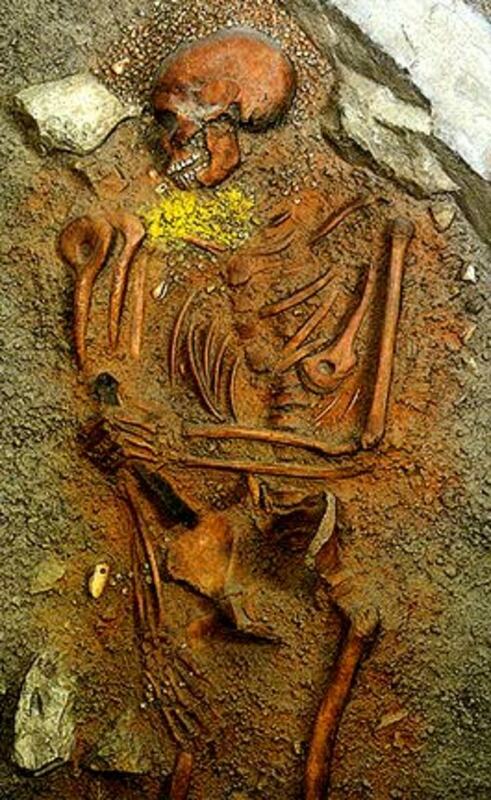 She was an African Slave who was also executed as being a witch. Im a direct descendant of Rebecca Towne Nurse. The information in this post is the same as every other one you come across on the internet. It is well written and interesting. You have spelled executed wrong. "Though the victims of the witch trials were buried in shallow, unmarked graves, it's rumored that the Towne family stole back the remains of Rebecca and Mary under the cover of night, and gave them a proper burial." Yeah, I wouldn't put that past my family. ignorance is blissful. one can not be held responsible for not knowing. witch craft is still used today by doctors and even the church, catholic especially the pentagram was once a christian symbol . i am a practitioner of the liberal arts and have been called names as well. we as people have a tendency to fear what we do not understand. so it is safe to say we are all witches by proxy, life it's self is very magical if we could only see it. to change something for the better does not mean that it is evil. I am related to the Nurse (Towne) family. I found out recently from my grandma. I'm not sure what side i am related but i am currently researching the topic myself for my english class. Michael Towne. Decended from Dale Towne( grandfather) most of this ..to us ..is true. Would like to explore. Trancended through my father ( james towne) we have experienced some what of a curse. Excuse the punn: all of the men from grandfather to son to son have died. Leaving the wifes and mothers alone. 3 generations. Does this go back further? I may be related on my father's side. 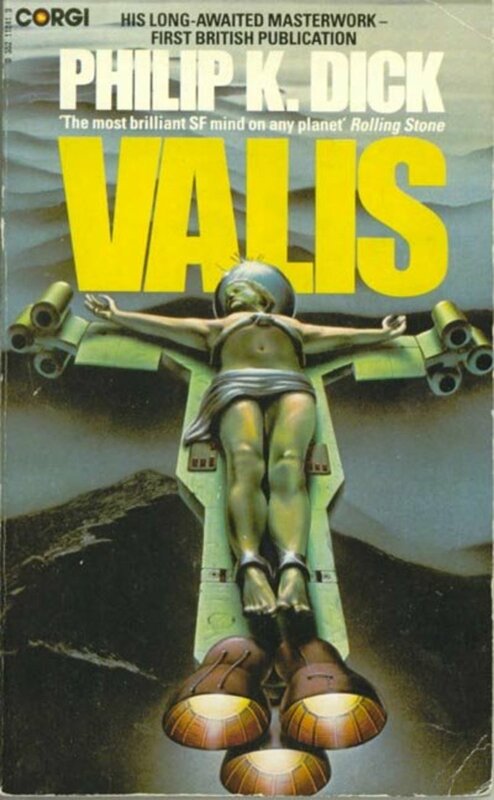 This story has always fascinated me and I have tried to research the Nurse name. I too am related to Mary Easty (Esty), Rebecca & Sarah on my mother's mother's side. Amazing! I have just found out that Sara, Mary and Rebecca's father and mother were my great, great, great, great, great grandparents. Reading the accounts of the trial and the hangings make me very sad. What an awful thing that happened to these girls all because of lies from their accusers and jealousy over land disputes by the Putnam family and later the land of my ancestors fell into their hands after such a mistrial of justice and lies. The accusers, in my opinion, were the ones that were possessed. No apologies can undo what they did. Mary Towne Eastey is my 8th great grandmother. 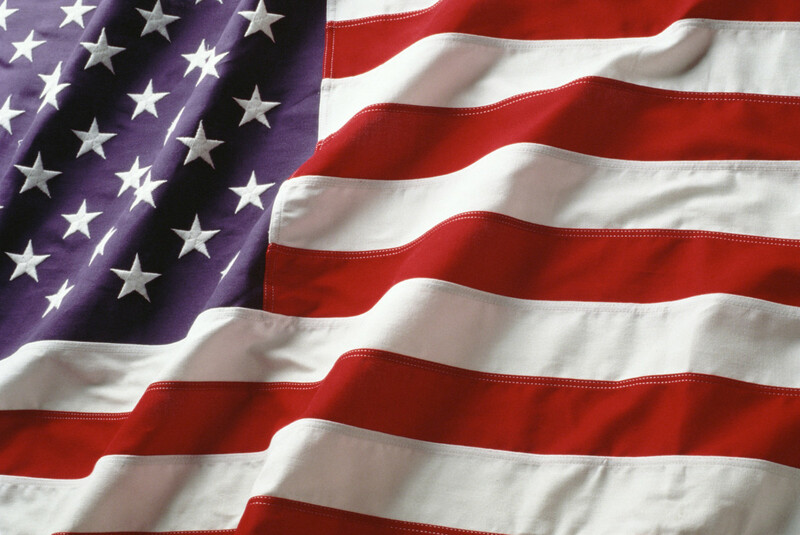 I am glad for the resolution honoring them. Leilani, thanks for the information. This whole thing is fascinating to me. I am a descendant of one of Rebecca Nurse's brothers, Edmund Towne. So, that makes me 12th Generation American Towne. For huebie, I found online the "Towne Family Association" (townefolk.com I think). You need to join to get the best information. But, it's only $20 for an annual membership. They have annual meetings/"family reunions" in different locations across the U.S., and next year they are even making a trip to England! Thank you, Ruby. Especially for Ann Putnam's recanting statement. I only recently discovered that Rebecca Nurse is my great x8 grandmother. Perhaps we are related : ) Every place I search it seems I learn of people that are related to one of those executed or accused. I wish there was a location for all of us to talk together and share information learned, relationships, and genealogy. Do you know of such a place? Two of the women, Mary Easty and Rebecca Nurse, were my husband's 8th great grandaunts. One sister, Sarah Cloyes escaped execution. Their father was my husband's 9th great grandfather. Such a sad and horrible time. Such a sad story. My heart breaks for the innocent lives that were shattered because of ignorance and prejudice. Ignorance is no excuse or reason to take a life. 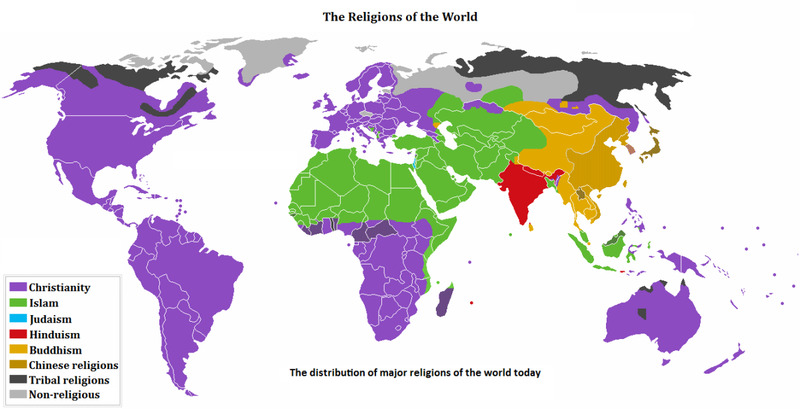 Religion and those that proclaim to be religious can be wrong and often are in the name of their beliefs. So many times throughout history people have been accused and executed under the guise of religion, those that believe so blindly often are blinded to the reality of what it is they see.